The benefits to hiring a great balloon artists for a Salt Lake City birthday party are immense. Not only are they talented, but they also have lots of experience and expertise in making sure kids birthday parties are fun for everyone involved. The basics of finding a balloon artist include making sure they have adequate insurance and experience. The best way to find a balloon artist that meets your needs is to visit their website or social media to see what they bring to a party. A balloon artist can either make or break the party experience, depending on what they an offer. If you’ve been looking for traditional, yet exciting ways to liven your next birthday party, balloon artists are a great route for you to explore. All in Fun offers multiple options for affordable balloon entertainment. Additionally, our balloon artists come in fun costumes that entertain guests, which isn’t a service guaranteed by all balloon artists. When searching for a balloon artist to entertain guests at your next function, it also helps to ask appropriate questions. Try to find out what characters & shapes the balloon artist your considering hiring can offer. If you’re throwing a kids birthday party, try to find out what the kid’s favorite characters are. This makes sure the balloon artist can make the experience special by creating that favorite character. Having All in Fun involved with your next birthday party means having access to the best party entertainment around. Anytime you choose to have balloon artists from All in Fun at your party, you’ll receive at least two hours of award-winning balloon artistry. Your professional balloon artist from All in Fun will also come dressed as a beloved cartoon or movie character. Finding a balloon artist capable of providing consistent engagement from your party’s attendees can be difficult. 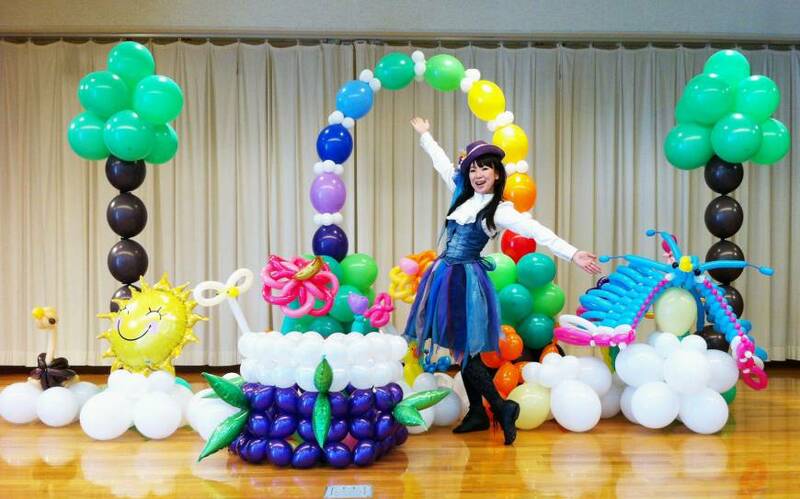 Having an All in Fun entertainment professional at your next birthday party also presents the opportunity for attendees to take pictures with their most beloved characters, and with their well-crafted balloon art. Don’t let your next event go by without entertainment from All in Fun. Having an entertainer with experience creating fun balloon art can’t be overstated. If you’ve been racking your brain thinking of new ways to entertain at your next kids birthday party, a balloon artist is the best avenue for you to explore. Contact All in Fun to learn more about our rates for hiring entertaining balloon artists. By allowing All in Fun to provide birthday party entertainment at your next get together, you’ll be ensuring yourself that you’ll be providing great entertainment at an affordable rate. Balloon artists are a vital aspect of any party, which makes the decision to hire proper entertainment a vital one. Balloon artists are capable of keeping up with recent trends which makes it easier for them to provide kids with the balloon characters they truly want. As long as you keep expectations clear regarding what the balloon artist is capable of providing, having one present at a party can prove to be a major asset. If you’re considering a balloon artist for your next party or event you’ll be glad you chose one from All in Fun. The experience and creativity our balloon artists bring to the table is second to none!